When it comes to being ready for life after graduation, what you learn outside the college classroom matters just as much as what you learn inside it — maybe more. Your academic success is essential, but to give yourself an advantage in the job market after graduation, make sure your college experience goes beyond academics. Every college graduate has a diploma, but not everyone has career-ready experience. Look for hands-on learning opportunities wherever you can find them. Internships are among the most common and most useful ways to get real career experience before you graduate. They let you apply your classroom knowledge in the workplace, add practical experience to your resume and establish industry connections. They may also count for course credit. Joining a student club is another great way to gain hands-on experience and make your college experience more meaningful. These organizations can help you explore career possibilities, find faculty and industry mentors, and connect you with students who share your interests. The experience you gain in a student organization can lead to many future opportunities. For Washington State University senior Jake Sirianni, being part of a student organization has been integral to his college experience. He applied to WSU because he wanted to tell stories through video and digital media, an area where the university’s Murrow College of Communication has an excellent reputation. When he arrived on campus, he looked for opportunities to try his hand at making stories happen. One of the first things Sirianni did was join Cable 8 Productions, WSU’s award-winning student-run television station. 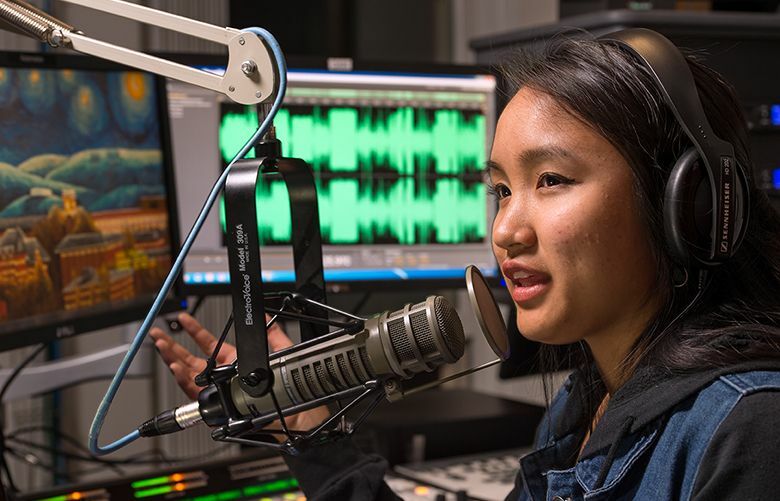 The club’s faculty mentors provide guidance when needed, and students learn by rolling up their sleeves and actually running a TV station. 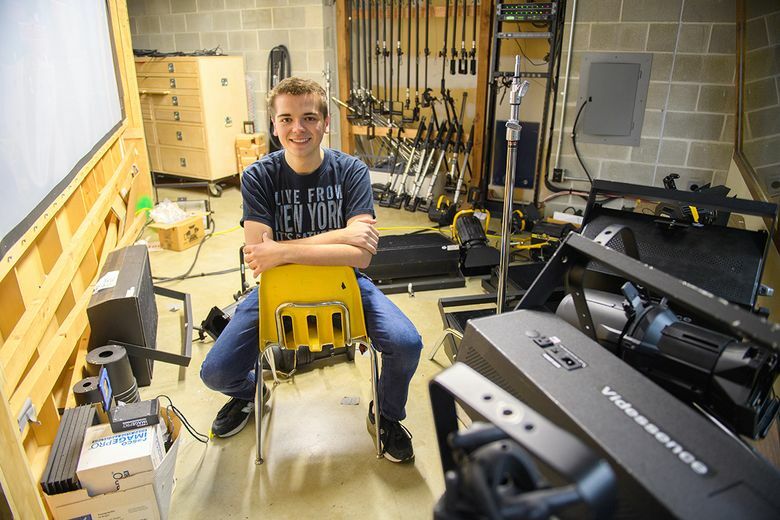 There, he had the opportunity to use a wide variety of field and studio equipment, working with other students to create and air their own original programs. Now a senior, he has been the president and general manager of Cable 8 the last two years. Thanks to his hands-on practice with field and studio equipment, Sirianni had a strong résumé. To stand out among the 10,000 applicants for the few available positions, he went the extra mile, creating a parody video of Blackalicious’ “Alphabet Aerobics” to make a personal job pitch that enhanced his application. He spent a week rewriting the rap with lyrics that honored the show’s history and stated why he’d make a good intern. He then spent more than 20 hours editing footage of himself into the video. It made for a lot of late nights in the editing bays at Cable 8. After getting feedback from one of his professors and other video creators, he published his video and shared it on his personal social media channels. Reddit users started passing it around. Then Mashable picked it up. And then the “Today” show. It went viral. Later that day, he and his residence hall neighbors watched as Jimmy Fallon played his video on the air and offered him a summer internship. By taking advantage of his hands-on learning opportunities — in fact, he has had two other internships in addition to his recent one with “The Tonight Show” — Sirianni has developed career-ready experience that sets him apart. But how do you find these opportunities? Where do you look for them? When you’re submitting college applications, ask the schools about their career center. Ask how they help students find internships. Ask about student clubs. Search the school’s student job board to see what kind of work experiences are offered. Also, when you find a major you’re interested in, contact the academic department that offers it. Chances are the department will connect you with advisors or student ambassadors who can help you find the opportunities you’re looking for. You don’t have to wait for graduation to get real-world experience. College is full of resources and opportunities. If you make the effort to reach out, you’ll find plenty of people who are ready to help. You can build your own unique pathway to achieve whatever you’re shooting for, starting right now. Learn more about WSU at choose.wsu.edu.